The model H500 is an RGB Color Analyzer that can measure the amount of Red, Blue and Green as well as the Hue, Saturation and Luminance of items such as Paints, Plastics, Fabrics, or just about anything you might need to know the color of. Question: What is the black cardboard sleeve with the white paper that was included in the case of my product? 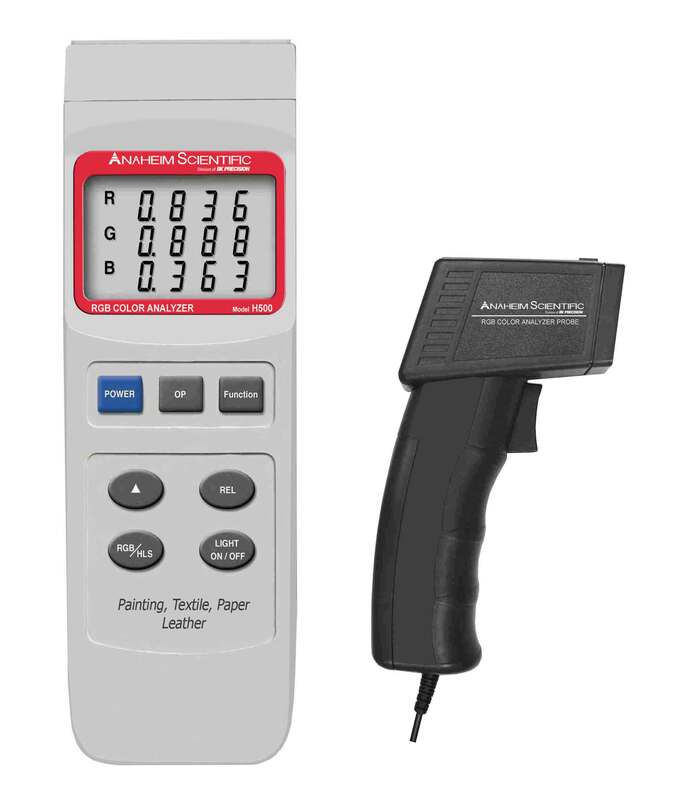 Answer: It is the White Color Calibration Card used for calibrating this product. See page 8 in the instruction manual.